As you’re a valued member of the Bidvine community, we like to keep in touch. Not just about your request…or requests if you really like us, but about a whole host of other things. Any special offers we have on services you may require. How to improve your profile. Surveys on your Bidvine experience. Any updates on the Bidvine product, which will, in turn, affect your experience. 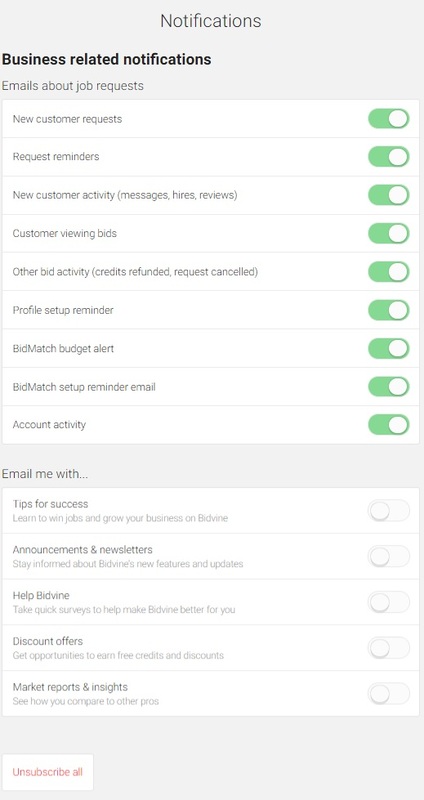 At Bidvine, we give you complete control over the emails that you receive from us. 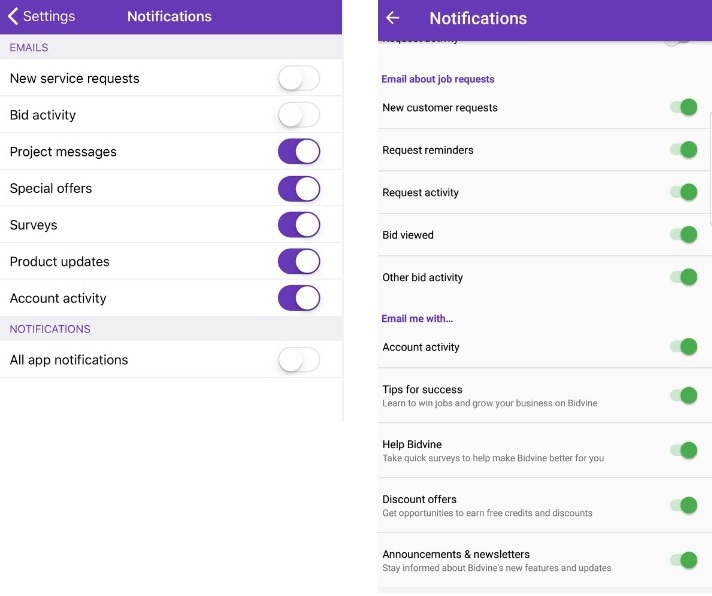 If you really don’t wish to hear from us at all, you have the option to totally mute any Bidvine communications, but that is not recommended as you may miss out on quotes for your personal projects.